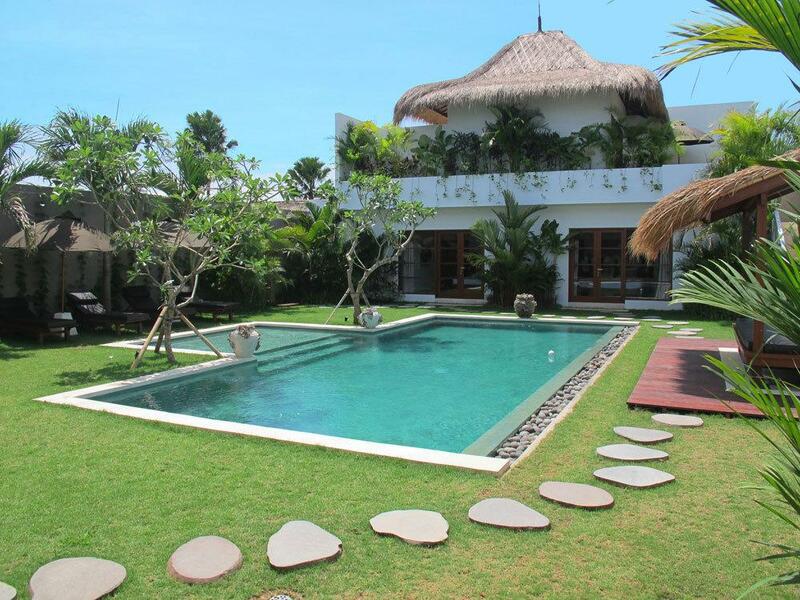 South of Bali, in the heart of Seminyak, Villa 3386 have been designed and built by the villa owner. 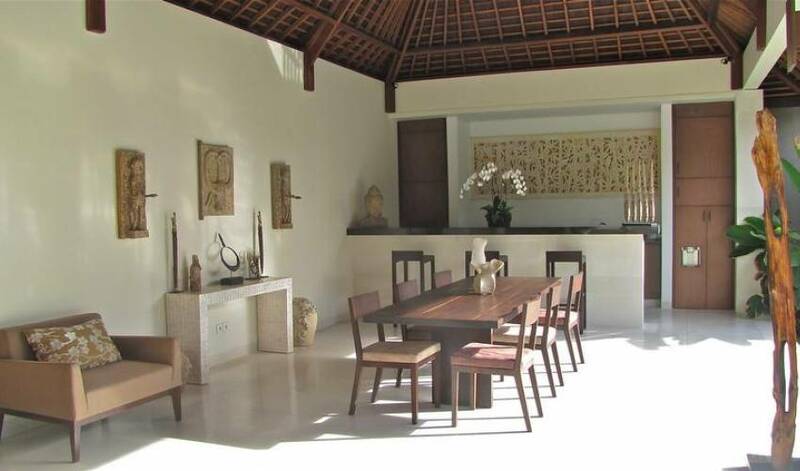 Contemporary, spacious, functional, design, the villas have been conceived to offer the highest comfort and the best facilities for a luxury stay. 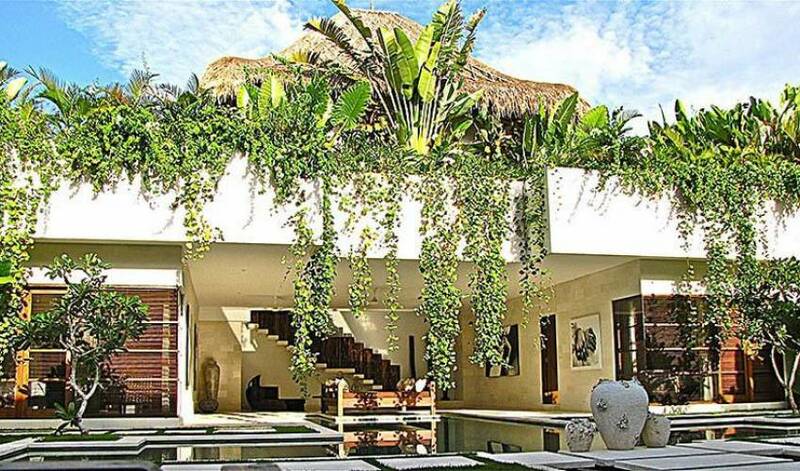 Decorated with style, surrounded by luxuriant gardens with a private swimming pool, Villa 3386 are located near to the beach. Boutiques and restaurants are within a walk able distance, shops and restaurants are just a short walk away. From the centre of Seminyak, a road bordered by splendid palm trees leads out towards the residential district not far from the well known Oberoi Hotel. 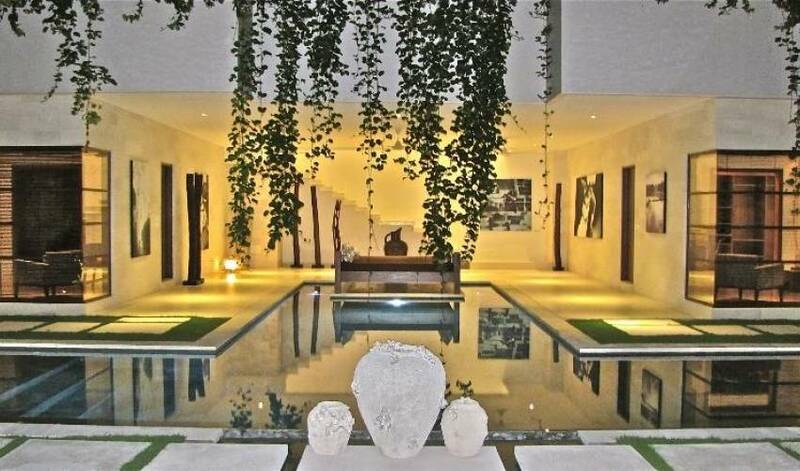 In this privileged setting one passes a guardhouse and then enter into a wooded driveway leading to the luxury Villa 3386. 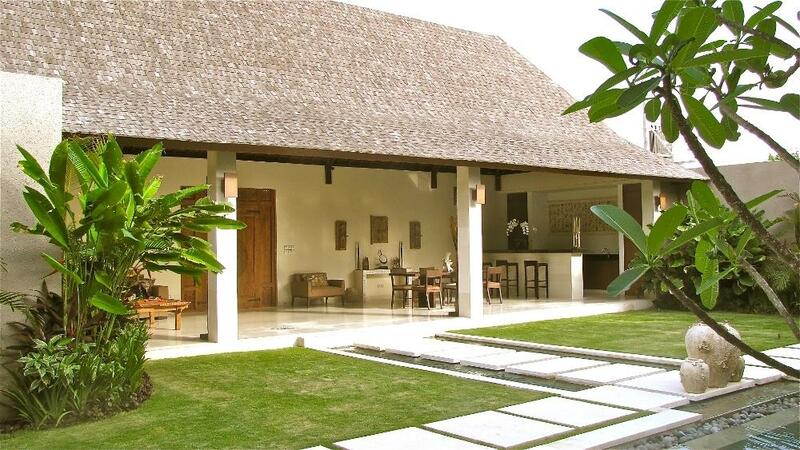 The central feature is an open-air lobby, just like a hotel, from which paths lead to the various villas. 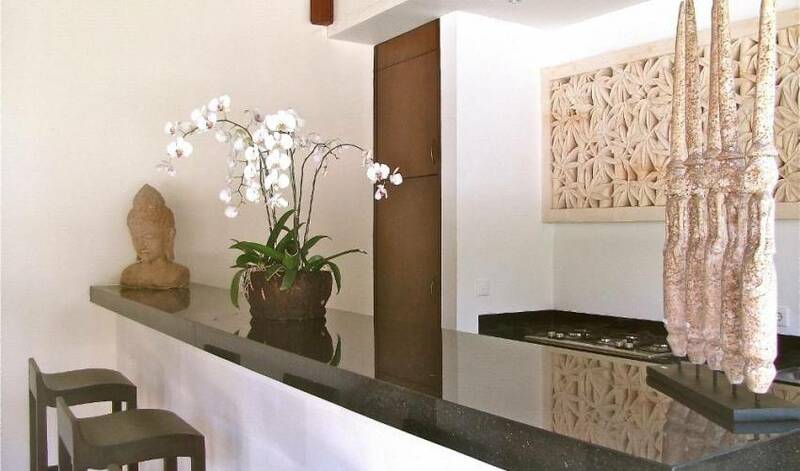 On the right of the lobby a wide pathway bordered by palm trees, elegantly lit at night takes the guest to the villas. Walking on stepping-stones over a water feature guest's access to the lobby. 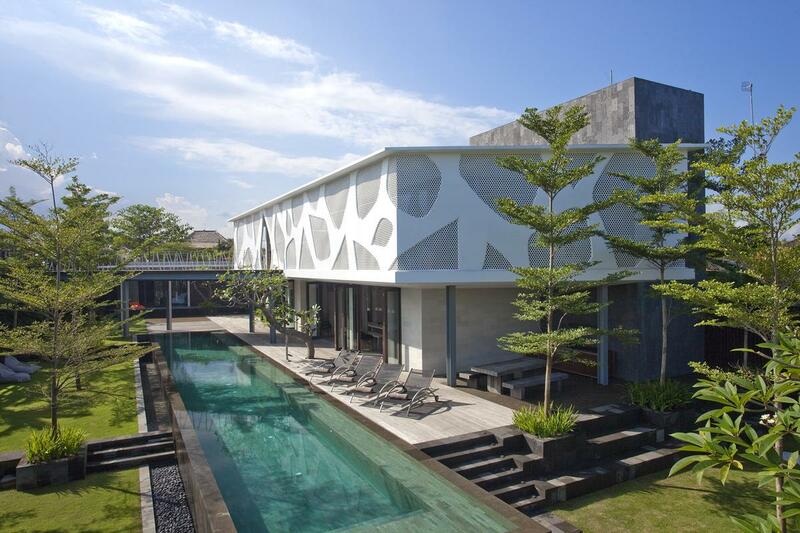 Villa 3386 are contemporary designed luxury villas for rent in Bali. It is located in the same complex of Villa 3385. 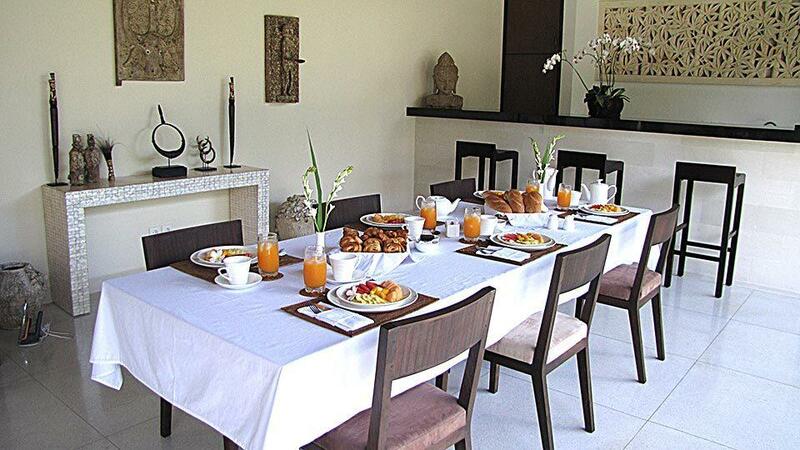 These villas with full hotel services consist of either 4 bedrooms or 2 bedrooms per villa. Two of the 2 bedroom villas can be interconnected to make a four bedroom adjoined villa if necessary through a sliding wall. 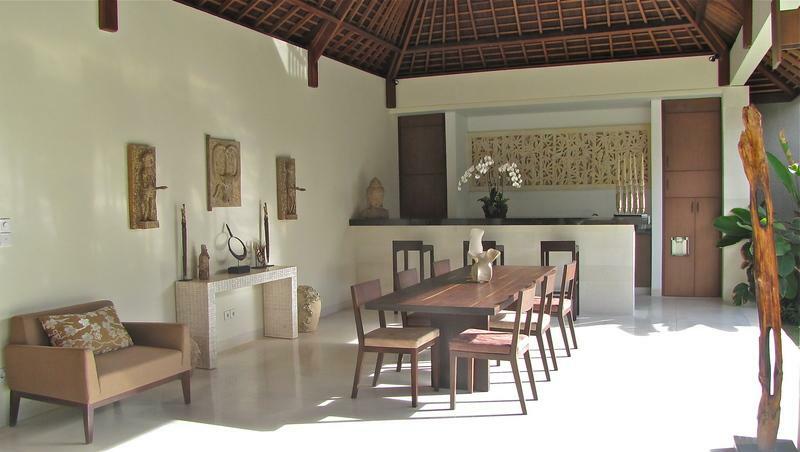 The impressively large front doors of each villa are made of locally carved noble woods. 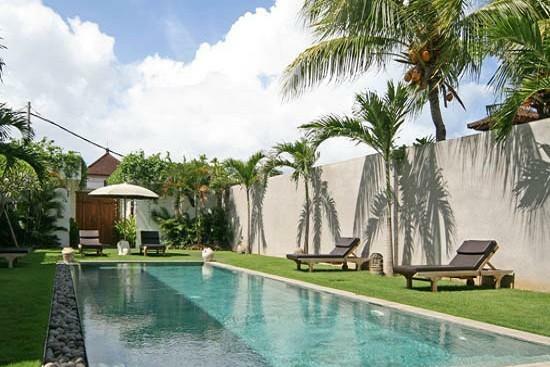 The 4 bedroom villas cover an area of 570 square meters. 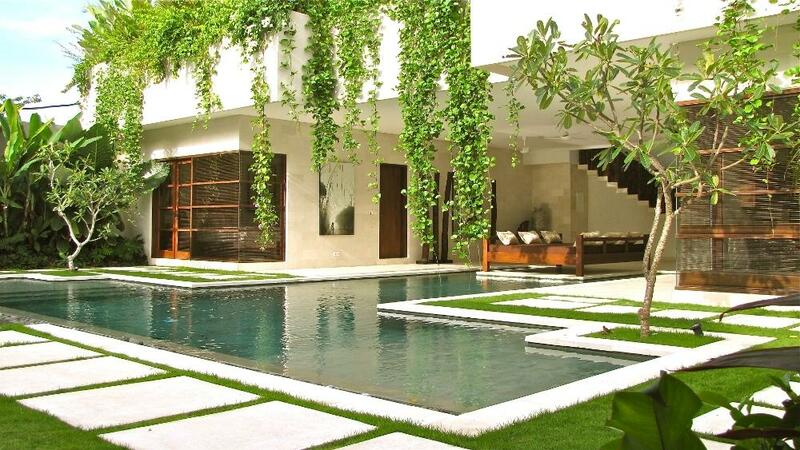 These villas are surrounded by a private garden with a swimming pool of 92 square meters. Immediately upon entering the villa visitors enter a vast living room of 75 square meters that leads off to the first bedroom. Complimented on the one side by a fully equipped American fitted kitchen with a large worktop of beautifully carved local stone and open to the garden. Opposite to the landscaped garden the 2nd and 3rd bedrooms are located of 25 square meters each with private dressing room of 10 square meters and a semi open-air bathroom. Once more the large bay windows give great luminosity and views to the garden and pool. The dominant colours are mole - beige - natural cement... and the omni presence of noble materials such as leather, flax... velvet bring a timeless elegance and an undeniable luxurious style : leather armchairs, tables in purple wood, mother-of-pearl lights... 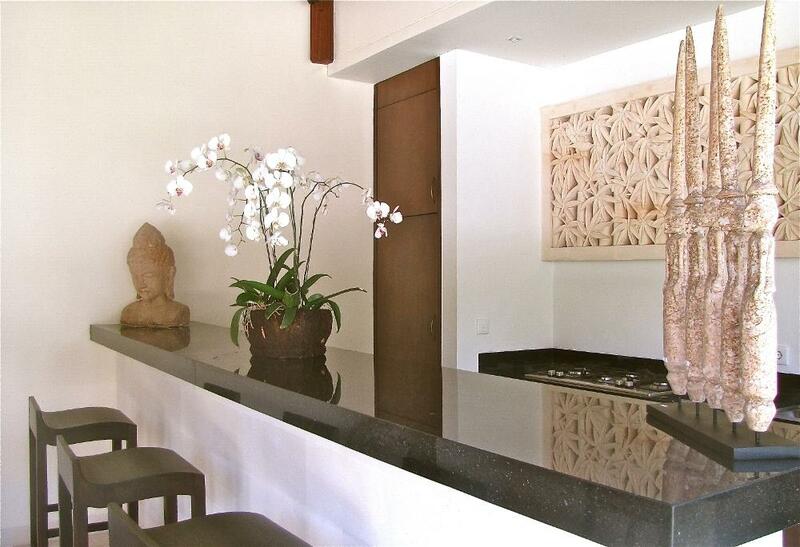 The living room also serves as an art gallery exposing a collection of local works of art and craftsmanship. 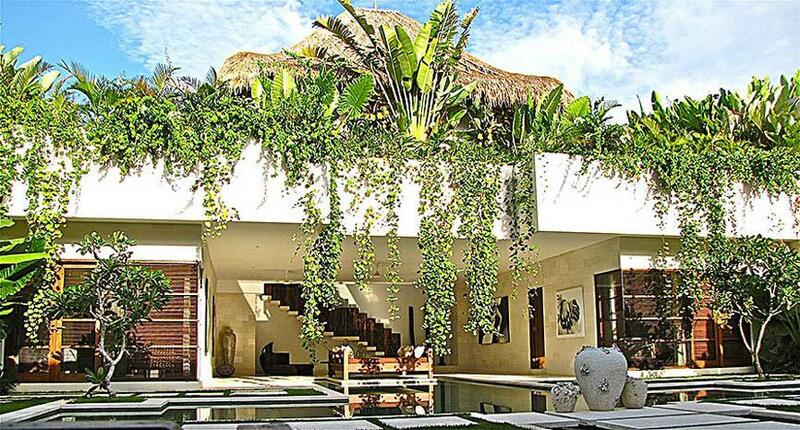 The master bedroom including the terrace measures a total of 162 square meters. 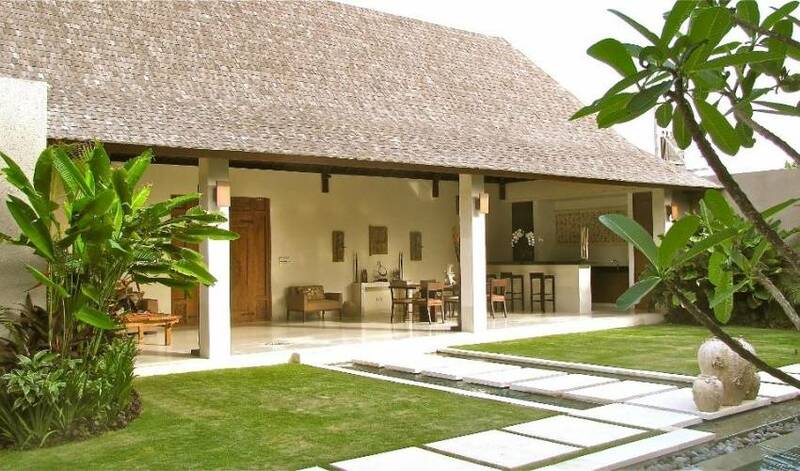 Under the high thatched roof in "alang-alang" - traditional Balinese - a large bedroom with an exotic wood parquet floor opens via sliding doors onto a private living room on one side and a large terrazzo floored bathroom on the other. The bathroom has a large walk-in shower and two-person bathtub on a floor of white pebbles. 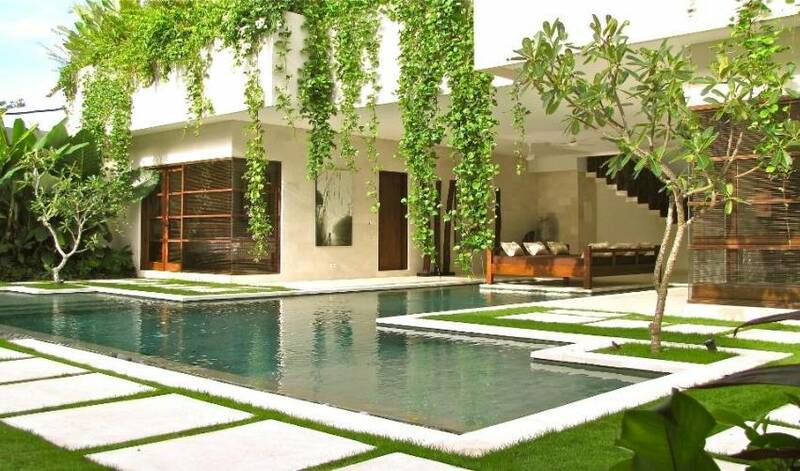 Part of this bathroom is on an outdoor open-air the terrace. Ika is amazing and very helpful thanks! The staff at Villa 3385 are absolutely out of this world. 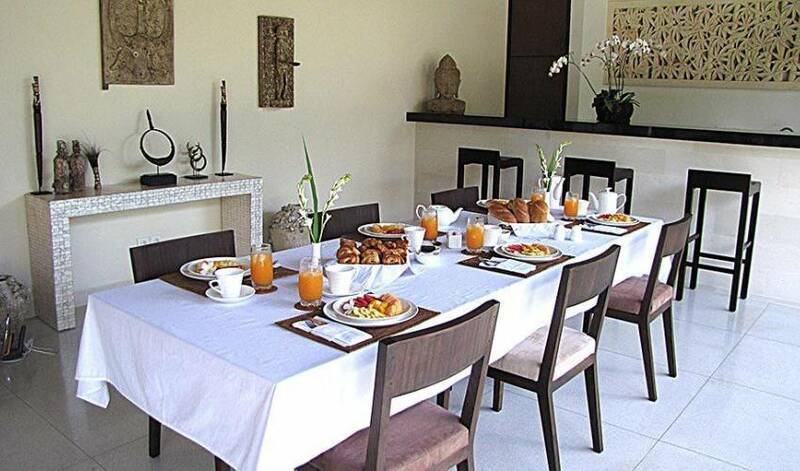 I would strongly recommend staying there simply due to the friendly and accommodating staff. All staff excellent. Main contact fabulous each day. We have had a very enjoyable stay at this villa. We have been very well looked after.